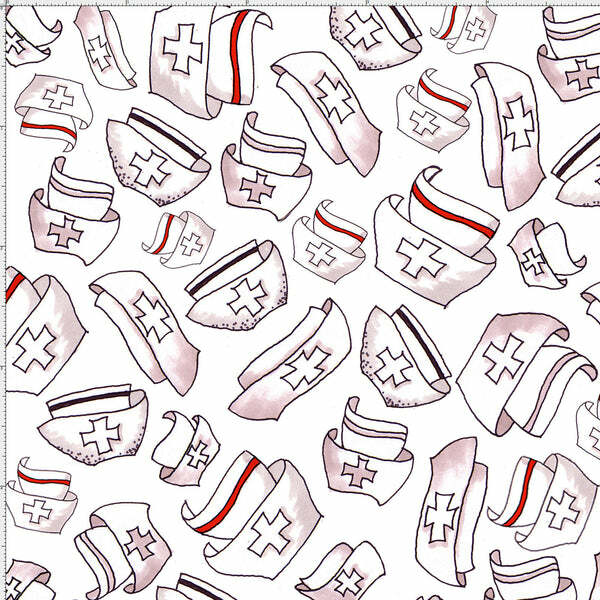 One of the many themed designs for the nurse collection is the famous happy hats! These hats represent the beauty of comfort and curing, all while being cute! Cool crosses and bright red and black are shown everywhere in this fabric. Make your very own happy hat, or make a cute custom creation for a nurse you know or for your own hard work!